You got it Jenn!!! Your voice was soft, and relaxing. The music was awesome. You walked around which is good. I like it when you correct the pose by making our bodies shift a little or press our toes on the mat. That's a delighter. I loved your class!!! You are excellent! Your instructions were awesome and very clear. You did an amazing job explains how the pose was supposed to feel. As someone who hasn't done a lot of yoga it really helped when you would say "that is going to burn your hamstrings" and stuff like that. I loved that you would explain what the pose name is and how it looks. 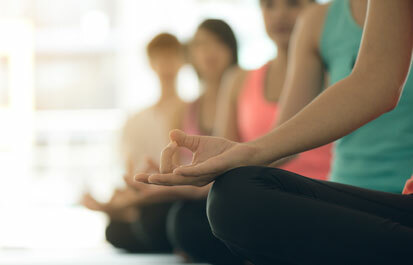 My yoga journey began in 2004 when I discovered prenatal yoga in Sherman Oaks, California. After having my son and recognizing the benefits of yoga, it became a regular discipline in my life. It brought me clarity and peace of mind, while constantly challenging me to explore my practice further. 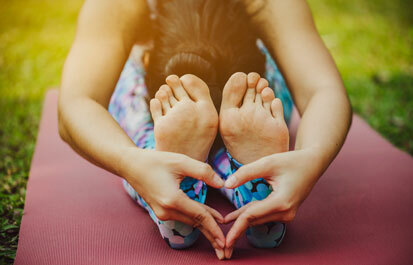 While I enjoy many different styles of yoga, my favorite is vinyasa flow. Don’t be surprised to see me upside down! I love inversions and arm balances, and I’ve been known to break into a headstand at any given moment! I search out yoga classes when I travel and always appreciate the knowledge that each instructor brings. 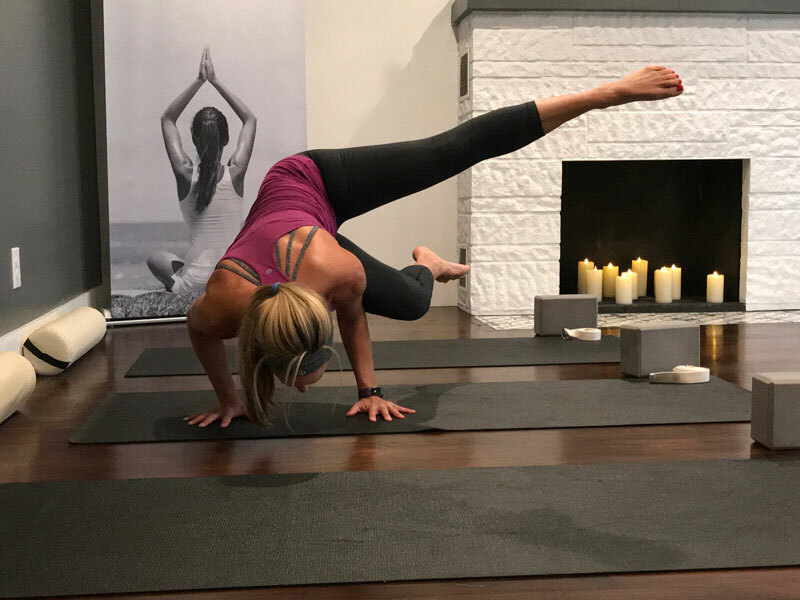 Fun fact: I’ve taken classes in seven different languages in five countries, which proves how truly universal yoga really is! 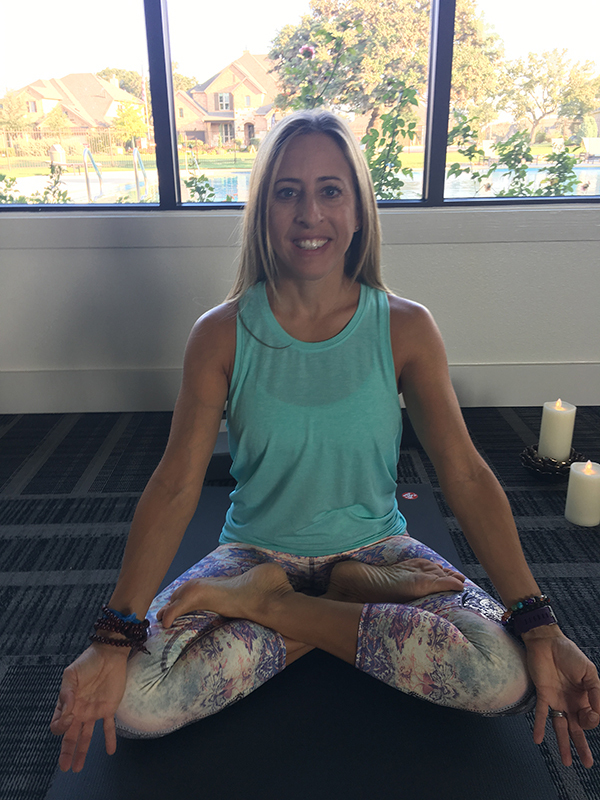 Over time, as I became more mindful of the positive affects my yoga practice had on my physical and mental well-being, my desire to share this experience and philosophy with others grew. 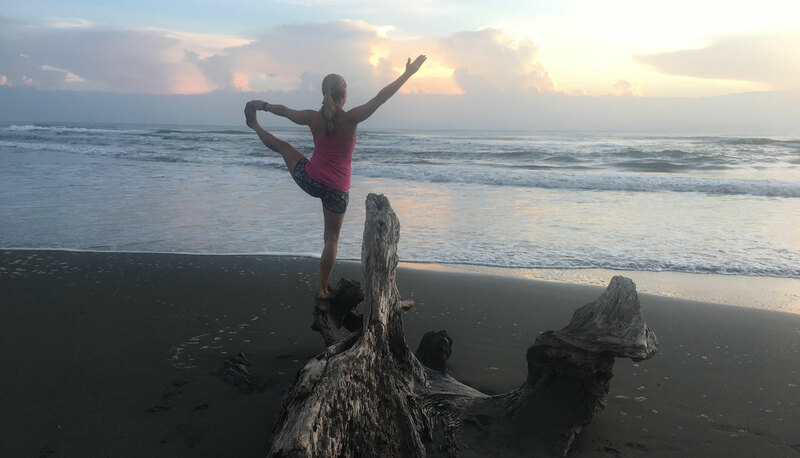 In August of 2017, I earned my 200-hour Yoga Alliance Registered Yoga Teacher certification from the Marianne Wells Yoga School in Costa Rica. In addition to teaching yoga, I have my own graphic design and website development business (Full Nelson Productions). I am also very involved in fundraising and activities at my children’s schools. 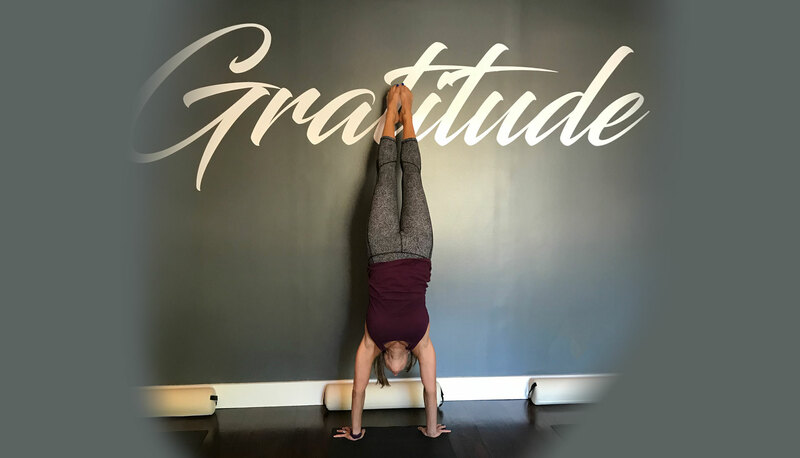 I am grateful for the opportunity to share my love of yoga, and as a teacher, I find that I am constantly learning through my students. My true inspiration is the love I receive from my family; my husband Lennie and my amazing children, Joshua and Avery, have supported me through my journey. My sweet beagle, Willie Nelson, is always at my feet to help me test my balance! Copyright 2017 Jennifer Nelson Yoga.